I would like to take this opportunity to welcome you to the Ronan Police Department website. The Ronan Police Department is dedicated to providing the finest police services possible. Our officers are committed to its core values of Respect, Professionalism and Dedication to the community that we serve. Our mission is to proudly serve the citizens of Ronan, using a well-rounded approach of prevention, intervention and enforcement utilizing community and police partnerships. While our core mission calls for the aggressive enforcement of laws, including city ordinances, we also have an obligation to inform and educate local residents, business owners and their employees so that they can take steps to make potential crime targets less attractive to would-be criminals. 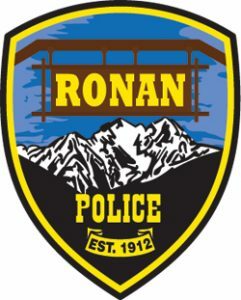 The Ronan Police Department is comprised of a Chief of Police and five officers, who proudly serve the citizens of Ronan. We are committed to providing a superior level of customer service and we recognize our citizens rightfully expect prompt and professional service from a Ronan police officer at their doorsteps, 24-hours a day. In order to continue to provide quality service to the community, I encourage input from the citizens of Ronan, neighborhood associations, businesses, and visitors that receive police services. We constantly strive to produce positive results that preserve the peace, prevent crime and disorder, while safe guarding the personal liberties, dignity and individuality of all people. In closing, it is my desire that you will discover ways in which you can partner with the police to prevent and fight crime in our community and I look forward to working together to build positive connections, find solutions to quality of life issues, and to create avenues for working together to maintain the safety and well-being of our community. Ensuring that the City of Ronan becomes one of the safest communities in the State of Montana. I hope you find our website informational and user-friendly. 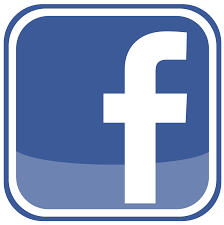 Feel free to contact me with your comments or questions at rpdchief@ronan.net and make sure you follow us on Facebook.